Sgt. Marion O. Gilmer, son of Mr. S. E. Gilmer, graduated from Belle Plaine High School, Kansas and Wichita, Kan. Business School. 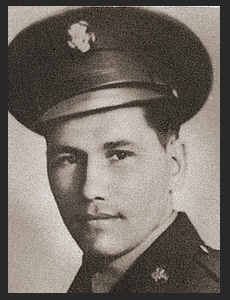 Entered Army in March, 1942, trained in Ft.Warren, Wyo., Savannah, Ga., Tindall, Fla.; was killed in Townsen, Ga. in Jan., 1943 while on routine duty.